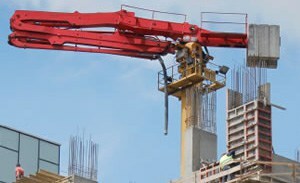 Construction cranes are essential on any large construction project, but as with any large piece of equipment, cranes can be hazardous to both crane operators and other workers on the construction site. Did you know that approximately 150 crane accidents occur each year, causing injuries and sometimes worker deaths? Have you or someone that you love been injured in a crane accident that may have been caused by dangerous or unsafe working conditions? At the law offices of Goldberg Weisman Cairo, our construction accident lawyers have extensive knowledge of Illinois’ workers compensation and workplace safety laws and offer free consultations to crane accident victims to help determine if they have grounds to file a damages lawsuit. Minor movements on the ground can have a dramatic effect on cargo in the air. Thousands of pounds of equipment and supplies can become dislodged; retaining straps can snap; or material can accidentally hit buildings or workers. In some cases, workers have fallen from work platforms being hoisted by the crane, or workers have died when a crane arm accidentally came into contact with live electrical wires. Elevated cranes pose another problem. If the crane becomes dislodged, as one did in New York a few years ago, the crane and its operator can fall to the street below. Uneven ground can also cause cranes to tip, potentially crushing the crane operator. Contractors are responsible for maintaining safe conditions on the construction site. This includes ensuring that crane operators are all properly trained and equipment is in good working order. It means following OSHA safety regulations on the job site. It means canceling work when dangerous weather conditions could make the job unsafe. If you believe that you were hurt or a loved one was killed in a crane accident because of unsafe working conditions or the negligence of another, you deserve answers. The construction accident lawyers at Goldberg Weisman Cairo can help you get them. Example Case: When a 26,000-lb generator was being hoisted by a crane, using only four nylon straps, one of the straps came in contact with a steel beam and tore, crashing to the ground and killing an electrician. GWC secured a settlement of $2.66 million for his family. Our law firm has been helping injured construction workers for more than 30 years. We know how accidents can happen on the job site. We have secured more than a billion dollars in combined verdicts and settlements on behalf of injured union and nonunion workers throughout the state of Illinois. We are committed to getting justice and fair compensation for any worker hurt in Chicago construction accidents.